When German turbine manufacturer Enercon won an order in British Columbia, Canada, it had to take extra precautions in case of a big surprise. 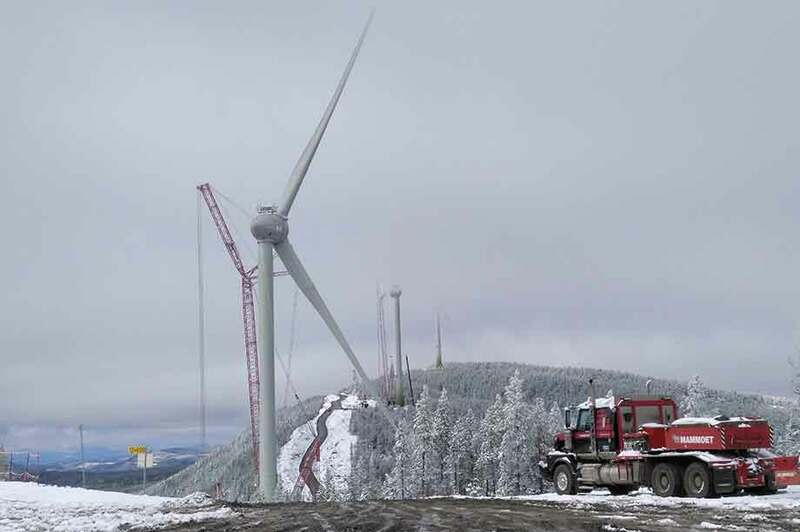 Boralex’s 15MW Moose Lake site in eastern British Columbia was always going to be a difficult build. The harsh winter weather (see below) put a six-month halt to installation between November 2017 and May 2018. But as well as the freezing temperatures, workers on the site also had to be prepared for meetings with the locals. 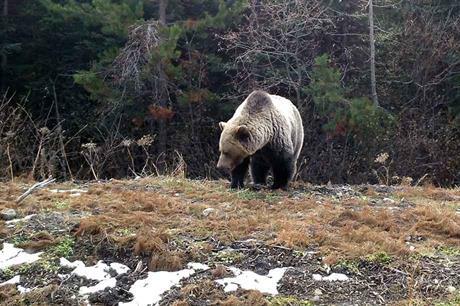 The municipality of Tumbler Ridge is grizzly bear country. In preparation for encounters of the furry kind, lead contractor Enercon and all subcontracted workers were required to undertake some extra health and safety training, including a 45-minute wildlife presentation that covered what to do in the event of coming face-to-face with a grizzly. Employees and workers were also equipped with pepper spray and horns, and all wildlife viewing needed to be reported over radio as a warning to all workers. And as the pictures above show, the preparation paid off, with several bears taking interest in their new neighbours. Moose Lake comprises four Enercon E-141 EP4 turbines, each with a 99-metre hub height.